During the presentation of the Ethos Report: “Decoding corruption”, the National Institute for Transparency, Access to Information and Personal Data Protection (INAI) reaffirms its commitment to support both Open Government projects and complaint mechanisms as well as its commitment to fight corruption, as expressed by Commissioner President Francisco Javier Acuña Llamas. 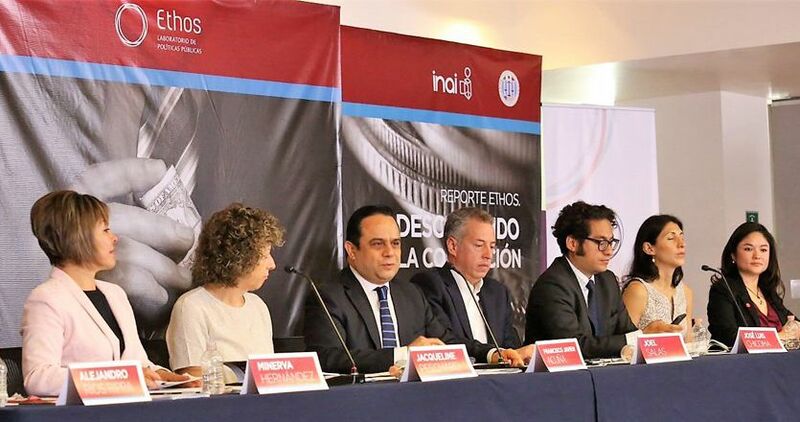 On the other hand, the coordinator of the INAI’s Open Government and Transparency Commission, Joel Salas Suárez, pointed out that the construction of National Transparency and Anti-Corruption systems aims to establish a new relationship between government and citizens. Finally, Joel Salas Suarez considered it advisable raise society´s awareness of the National Anti-Corruption System´s true scope. Ethos Report: “Decoding corruption”. The report focuses on the impact that public sector corruption has on the country’s development. It also describes the constitutional reforms which support the National Anti-Corruption System and explains the secondary laws and their creation process, among other issues. The purpose of the report is to understand the phenomenon of corruption in Mexico.